Golan and Ohad Aharony bravely assemble another pack of their "mellow-dramatic alternative rave songs" as they claim with a big smile, Carefully made to satisfy audiophiles, critical listeners and those who were looking for more content. Sub6 took a leading part of pushing the Psytrance out of deep acidi forests to the masses around the globe. Their fresh fusion of pop and acid music was attracting people from both ends including producers and promoters and eventually became the main stream within the genre. After releasing several dance floor hits like Rahe'ya" and "7th son" (feat. Michele Adamson), they released their award winning debut album "Who needs love songs"(HOMmega/04) which is marked as a milestone in psy-trance music. 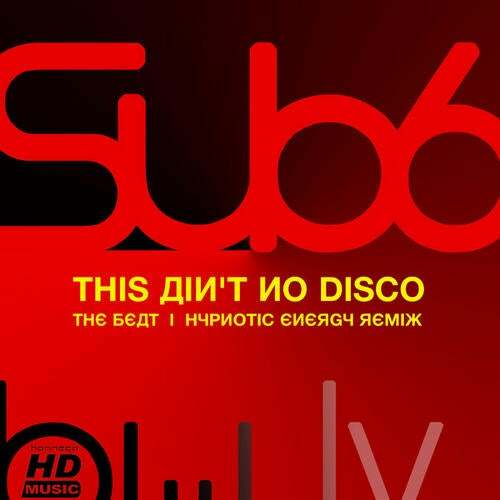 Sub6 released tracks and remixes in leading dance lables like Ministry Of Sound & Hit-mania (UK), Warner (JP) and remixed tracks of top artists like Tim Healy, Astrix and Yahel while their original tracks were remixed by the likes of GMS, Shanti, Wrecked Machines, Ticon, and many more. Performing live in massive clubs and events around the world such as Rio E-music (Brasil), club Ageha (Tokyo), Brixton Academy (London), Arvika festival (Sweden), and Earthcore's Global Carnival (Australia) has set the world on a rampage demanding a 2nd album which is now close to finish.